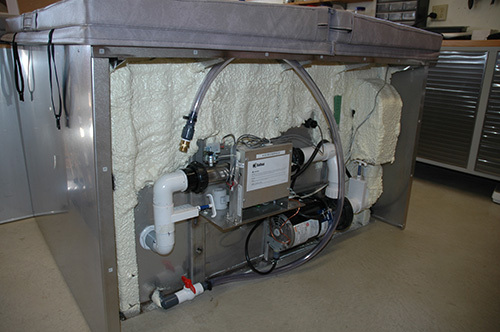 EXERTECH’s standard weighing tank footprint is 58 x 47 inches. 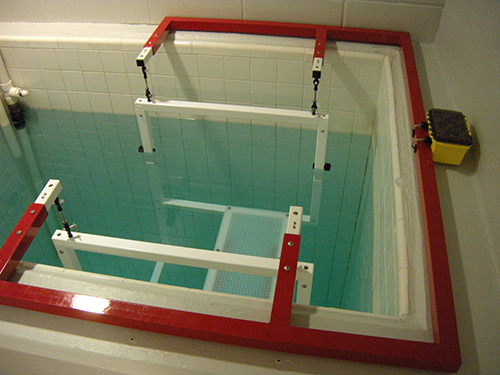 The tank is only 34 inches above the floor. No need for steps. 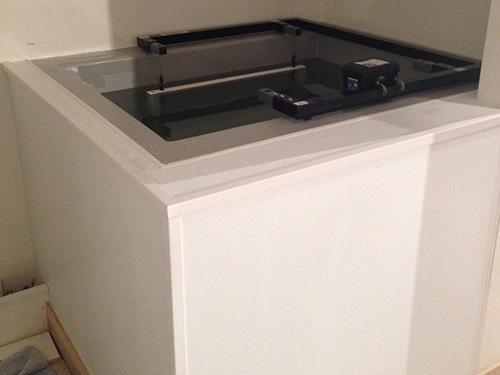 Tank is completely enclosed by removable stainless steel panels. The mechanical & electrical equipment is all located on one side. 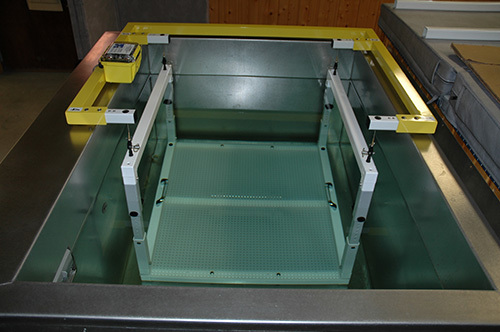 EXERTECH® makes custom designed weighing systems for existing tanks.